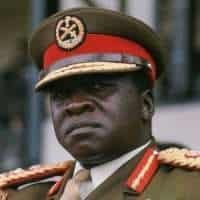 From 1971-1979, Uganda was under the control of the mercurial Idi Amin, one of the most brutal military dictators ever to rule in Africa. Towards the end of 1973 it became clear that the United States could no longer maintain its embassy in Kampala and would have to shut it down. Deputy Chief of Mission Robert Keeley discusses the intense negotiations he had with the West German ambassador for that country to become a protecting power of the U.S. embassy property; how their attempts to keep plans to evacuate quiet were undermined and how Keeley was lampooned in the Ugandan media; how Amin murdered his own foreign minister; and Keeley’s eventual departure from Kampala in a tux and the hero’s welcome he received at the Marine Ball in Nairobi. 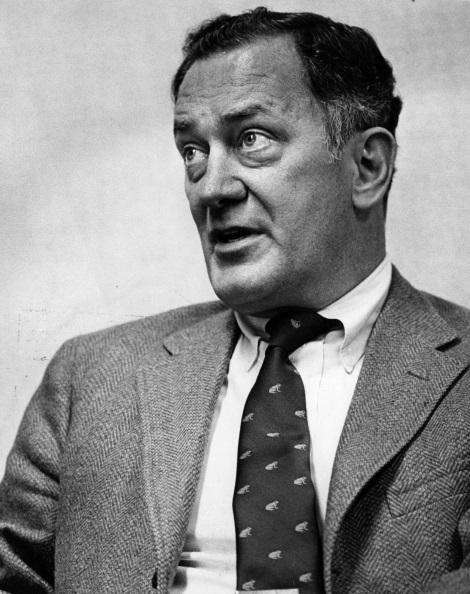 Keeley served in the Foreign Service for 34 years beginning in 1958, before he took his post as DCM in Uganda in 1971. He was interviewed by Thomas Stern beginning in December 1991. He died in January 2015; you can read his obituary in The Washington Post. KEELEY: I had many, many encounters with Amin, particularly at the end when I was the Chargé. Then I would see him practically every two weeks because of his penchant for sending nasty messages to President Nixon. I would duly send them in with my comments. I would then receive an instruction to call on Amin to complain. I would then get an appointment and before I could complain about his last message, he would give me a new one, worse than the previous one. I would take it, because that was the only thing I could do, and then complain about the previous letter, which of course had absolutely no impact. I would send the latest letter in and then I would get another instruction. It was a never-ending process. The exact words escape me, but the essence was that it was only right and proper that the Americans should be defeated by a small country; the U.S. should learn that it can’t bully people and pick on them. It was so negative and out of place that we responded by pulling out our Ambassador, Tom Melady. He remained the Ambassador until about September, although he never returned to Kampala. I became Chargé until we closed the Embassy in November. Relations continued to deteriorate. Sometimes Amin would change his tune and send Nixon a “Get Well” message. Once he bid him “a speedy recovery from Watergate,” which was about the worst message he could have sent — Nixon didn’t need to be reminded of that problem. 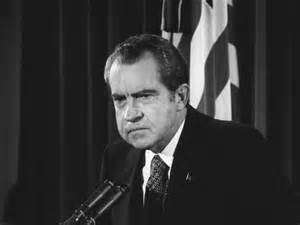 You may remember that there was pressure on Nixon to resign after Watergate became so serious that it was leading to impeachment. So Amin sent him a message saying that he shouldn’t resign, that he had been elected by the American people, that he should show his bravery and courage by staring down his opponents. Amin said that strong people like himself and Nixon should stand up for their rights. It was the usual crazy message; only Amin saw it as a positive motivational effort on his part. He wrote that message while I was outside his office waiting to see him; I waited for about an hour. I just reread it the other day; it was absolutely hilarious. The text had to be patched up somewhat by Paul Etiang, who was the Ugandan acting Foreign Minister. Amin’s effort did not raise his stock in the White House one inch; but it had gotten immune to his rantings. In September, 1973, Amin sent another nasty message. I can’t remember exactly the subject matter; it probably had to do with the Middle East and events leading up to the 1973 War. I was recalled this time, “for consultations” –the standard formula. I came back and went to see David Newsom, then the Assistant Secretary of State for African Affairs. I told him that I was delighted to be back and to be able to take a few weeks of leave, but I expressed the hope that my absence from post would not be too prolonged because we had real problems in Kampala. The Embassy, the last American presence, had shrunk; I was the only political reporting officer since the Department had never filled that position when it had become vacant. I also told Newsom that my absence would not make any impression on Amin; I doubted that he even knew I had left. Even if he knew, he would shrug; he could not have cared less whether the American Chargé was there or not. He might notice my absence if he had another message to send to Nixon and someone strange to him showed up to receive it. Then he might notice that I was not there. He didn’t really care when the Ambassador was recalled; he may have been slightly annoyed, but I doubt that he understood the word “recall” or its significance. His annoyance had probably more to do with the possibility of the U.S. closing its Embassy; on a personal level, he could not have cared less who represented the U.S. I returned to Kampala after three weeks with instructions to reduce the size of the post even further. Then the 1973 Middle East war started. Amin was on the side of the Arabs; we, according to Amin, sided with the Israelis and were therefore intervening in the war. 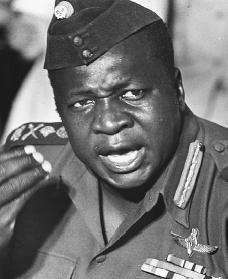 He volunteered Ugandan troops–an offer that was quickly rejected by all Arab countries, or at least totally ignored. That humiliated him; he kept offering to fly them wherever they might be needed. The last thing any Arab state wanted was a horde of Ugandan soldiers, drunken and disorderly, descending on their territory, particularly if led by Idi Amin. He became very frustrated. He called me in and gave me a lecture about the Sixth Fleet, which was moving around the Mediterranean. He showed me on a wall map in his office how the Fleet was moving towards Israel so that we could intervene on its side. I kept trying to interrupt so that I could tell him that the Sixth Fleet had been in the Mediterranean since 1945 and it always moved. Its principal mission at that stage was to be prepared to evacuate Americans if necessary. 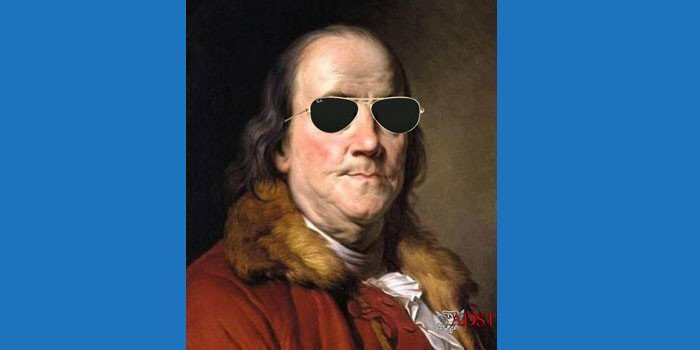 At the end, he threatened me and all Americans by saying that if war broke out, we would all be viewed as belligerents on his enemy’s side and therefore we would all have to be interned, starting with the American Chargé. He had come to believe, from the stories he had heard about World War II, that enemy aliens were taken and put into concentration camps. When the meeting finished, I shook his hand as usual and walked out. I reported that diatribe to Washington and commented that Amin was once more grandstanding; he was dressed in his fatigues, ready to march to the front. He was frustrated because no one wanted his troops. He wanted to show that he could play in the big leagues. The Department, however, took the matter very seriously: it assumed, or feared, that Amin would carry out his threats. 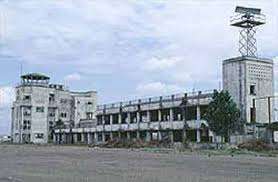 The last thing the Department wanted was to have some of its diplomats put behind barbed wire by Idi Amin; then it would have to do something to get them out, which would have been difficult, particularly in a remote place like Uganda and with a guy like Amin. Based on my frequent contacts with him, I believed that he wouldn’t have done anything. He was just on a stage playing to whatever small audience cared to watch. He always had a TV camera and the press in his office when I met with him. He didn’t single me out because he didn’t like me, but because I was a convenient foil for his theatrics. He would do his histrionics, then feel better–just like a little child. In any case, he made Washington very nervous. When the war broke out, Amin was again very frustrated; he didn’t know what to do. He didn’t lock anyone up, but he did kick out our six Marine security guards: i.e., the American “military force” in Uganda. He gave them 24 or 48 hours to get out. They went to Nairobi. At that point, the Department decided that this was the last straw. With the Marines gone, no one was really providing security for the chancery, so that our classified documents and communication codes were essentially vulnerable. That meant that we had to take turns sleeping overnight in the chancery because without guards it was easily penetrable. We immediately started a destruction program. Our lives were less than idyllic without the Marines standing watch. We were ordered by the Department to close the Embassy and to leave the country. I was literally given 48 hours to do that. I didn’t believe that it was possible in that time-frame. We had leases that had to be broken, property owned by the U.S. to be left in the hands of a protecting power — which we had to find — we had local employees who would have to be terminated and paid. We had less than ten Americans at this stage; the Department did send some administrative help: Jim Mark and Pat Kennedy. But I argued about the time-frame and finally was given two weeks, of which ten days were left…. The whole evacuation process was thoroughly orchestrated. One of the most amusing incidents occurred the day before we left. I was having immense trouble getting the West German Ambassador to agree to be the protecting power. I was trying to get the appropriate instructions sent to him from Bonn so that he would sign the necessary documents (the Protocol de Remise). That document contains the inventory of all the property and all sorts of instructions about what to do with leases and other obligations. But the Ambassador wouldn’t sign the paper; he wouldn’t agree that I could say in my final note to the Foreign Minister, in addition to a statement that the Embassy was being closed and that we were leaving the country, that the Federal Republic of Germany would be the protecting power. The Ambassador refused permission for me to say that in my note. So we worked out a very elaborate scenario in which there would be two notes; the first would say that we were closing and leaving. Orally, I would then add to the Foreign Minister that I was still working on getting a protecting power. When I found one, I would tell the Foreign Minister what country it would be, because the host country has to agree to such arrangements. That conversation would have been just a charade because the second note, announcing West Germany’s appointment as the protecting power, would have followed in a couple of hours. But I was called in suddenly to see the Foreign Minister, the day before I was supposed to see him according to our prepared scenario. I assumed that he wanted to tell me to close the Embassy, to preempt us; so I typed up our note anyway and put it inside a newspaper that I would carry with me. I had in mind that if the Foreign Minister had asked us to leave, I would pull out the note informing Uganda that we were closing the Embassy and hand it to him. Of course, I didn’t know what the Foreign Minister wanted to talk about, but I wanted to be ready because it was just possible that the Government had become aware of our plans. The second note I would have delivered later. I walked to the Foreign Ministry, mentally war gaming all the possible eventualities. (I had just sold my car to a Ugandan buyer, so I had no transport.) All of a sudden, a car carrying a diplomatic license plate pulls up next to me, brakes screeching. Out pops the East German Ambassador, Hans Fischer. He walks over to me, takes my hand in both of his and launches into a short speech of regrets about what had happened. He said that I had been such a wonderful colleague, but that he understood that such events take place. I was absolutely flabbergasted. Before I could really respond in kind, the Ambassador got back into his car and drove off. Our departure was supposed to be secret; so much for that objective. 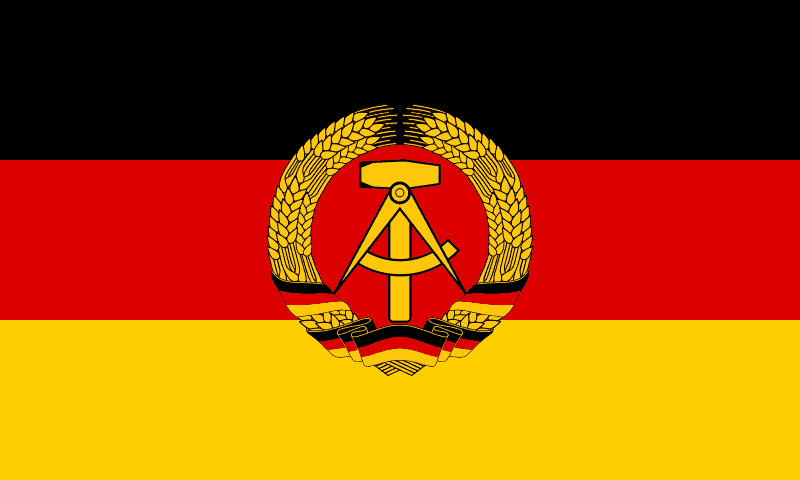 I deduced from this episode that the East Germans, well known throughout the world for their expertise in “bugging,” had done the same thing for Idi Amin–they may in fact have taped the conversations and listened to them first and therefore were fully familiar with our plans. Later on, I decided that that wasn’t true at all, but that in fact it was the West German Ambassador who had spilled the beans to his East German colleague for probably intra-German reasons. That really blew my mind. Here I was trying to work a very elaborate secret scheme so that I, and our staff, would escape alive and the West German Ambassador blabs it all over town. In any case, I met with the Foreign Minister — a poor guy named Colonel Ondoga, who had been the Ugandan envoy to the Soviet Union. The previous Foreign Minister, who had some kind of familial relationship to Amin, had fled the country. Then Amin decided to militarize his cabinet and called the poor Colonel back from Moscow to become the Foreign Minister. Ondoga was not dumb. He was from one of the Northern tribes—probably an Acholi. A lot of his colleagues had been killed; he knew what the score was. He reached Nairobi from Moscow and began to make phone calls to find out what his fate in Kampala was really likely to be — execution or Foreign Minister, those were the two choices. There was no third alternative, even though he would have preferred to retire to his farm. He didn’t get a really good answer; so he just waited in Nairobi. I was watching the news on a Friday evening, about three weeks before our departure. Amin went on TV, as he loved to do, and gave the Colonel an ultimatum. If the Colonel had not arrived in Kampala by midnight of the next day to be sworn in as Foreign Minister, his life would be in real danger. Ondoga must have heard the same broadcast. So he scurried to Kampala. He was sworn in right away. His first order of business, on instructions from Amin, was to kick our Marines out the following Monday. So I was Colonel Ondoga’s first foreign visitor, to receive this order. That was not a good beginning for him. So when he called me in about three weeks later, it was our second meeting. I was prepared to tell him that we were closing the Embassy. Now the worst thing a cabinet officer could do in the Ugandan government was to take bad news to Amin. That is what got ministers dragged out of cabinet meetings and permanently out of sight. Of course, that rapidly cut off much important information from the ministers to Amin, because none of them wanted to take the chance of making his last report. The country degenerated rapidly. So I felt very sorry for the Colonel and I wanted to make it as easy as possible for him, although my first priority was to get all the Americans out alive. I wanted to stretch things out long enough to get to the airport before he had to say anything to Amin. I was counting on the fact that the Foreign Minister would be so frightened by the news that he would procrastinate and not tell Amin anything until he really had to. Fortunately, Amin was in the North. When I met with the Foreign Minister, he said that he had a complaint to lodge. Uganda felt that the security provided for its U.N. mission in New York was inadequate — the Ambassador’s office or home had received a threatening phone call. The Foreign Minister went on to explain that he had been ordered to make this complaint. I was very relieved, because we were not being kicked out. I gave him all sorts of assurances that we took seriously our obligation to protect U.N. missions and that we would provide extra police and so on. Then I made a sudden decision, mainly because of the encounter with the East German Ambassador. I felt that if I had waited another day, our plans would be all over town. So I handed the note over to him, which I had hidden in the newspaper. The Colonel read it; he obviously didn’t understand it at all. It was all diplomatic gobbledygook to him. I said: “Yes, we are leaving.” Both broke into a cold sweat; the Foreign Minister could just visualize his conversation with Amin reporting our departure. Amin would hold him personally responsible and vent his frustrations on the poor Colonel. There was nothing I could do to help him. I left his office. As I said, all this took place 24 hours earlier than was intended by our scenario. Out of sheer fear, I moved out of our house; I was afraid, now that the news of our departure was disclosed, someone might come to get me. I chose to move to the Ambassador’s residence, because I thought that was the least likely place that they would look for me. It had been vacant since March or April; there were no servants; no one occupied the house, but it was a place to sleep. Then I rethought my plans and went instead to the home of the West German Embassy’s number two official, who was a personal friend. His views were 180 degrees opposite from his Ambassador’s; he was ready to be very cooperative. We watched the news together at about 6:00 p.m. of the night we were supposed to leave. The commentator denounced me personally–about all the crimes I had committed, about what a coward I was, fleeing the country without telling anybody. It was a scathing diatribe against the U.S. in general and me specifically. The worst thing was that he injected into his commentary something about who was taking over our property; i.e., the West Germans –“those well-known Nazis and criminals of long standing,” according to the Ugandan commentator. If I had not already gotten the West German Government’s approval for the second note, which I had already delivered, I would have been in real trouble. The West German Ambassador would have accused me of having embroiled him and his government in our affairs. That also probably explains why no one wanted to see me off at the airport, because I obviously had become a pariah. A couple of weeks after we left Uganda we read in the Nairobi papers that a body identified as that of Colonel Ondoga had been fished out of Lake Victoria. As usual, Amin had punished the messenger for bringing him a message he didn’t like…. The last persons out — me, with Pat Kennedy and Ed Nosko, our communicator — left on November 10, 1973. 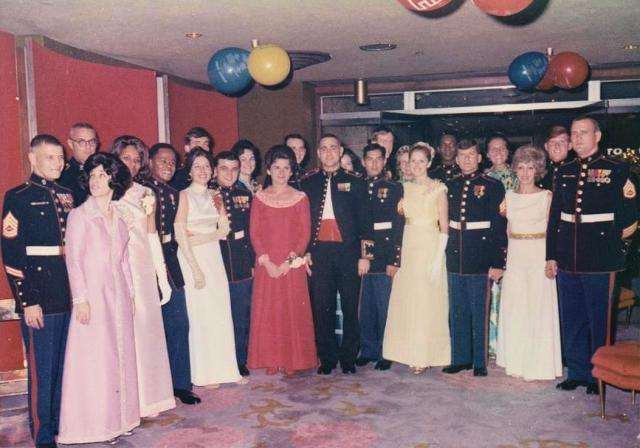 The date is fixed in my mind because it was the date of the annual Marine Birthday Ball. We were obviously not going to have a Marine Ball in Kampala, but we went to Nairobi to celebrate that event. We very much wanted to attend the Marine celebration in Nairobi, to honor our own Marine detachment. Not because Amin had kicked them out, but because they were such a fine bunch of young men who had helped take care of us under very trying circumstances. I phoned my wife, who was in Nairobi, having been evacuated the previous month along with all the other dependents, and using some predetermined signals, since we assumed that our phones were tapped or at least that our conversations would be monitored, we discussed the final departure from Uganda and what to do about the Marine Ball. She knew we were going to close the Embassy, but she didn’t know when exactly, and I didn’t want to risk saying the date and time on the telephone. By talking around the subject, we came to the conclusion that the Marine Ball in Nairobi would start about 6:00 or 6:30. Our flight from Entebbe to Nairobi was to leave at 8:00 p.m. and therefore wouldn’t arrive until 9:00. By the time we had landed, gone from the airport to the hotel, changed into a tux, the Ball would be essentially over. So I asked my wife to meet me at the airport; I would already be wearing my tux. We could then go straight from the airport to the Ball, getting there about 9:30 p.m. There were two other staff members with me — Ed Nosko, the communicator, and Pat Kennedy, our acting administrative officer. They didn’t have tuxes because they were on temporary assignment. So they wore dark suits. 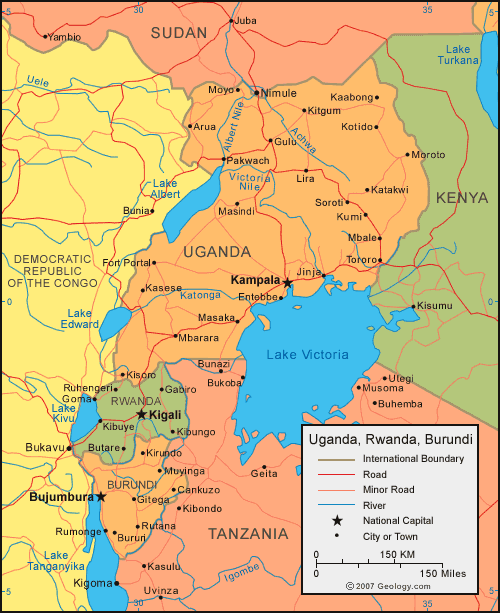 We drove to Entebbe the evening of November 10. I had the rotors from the code machines in my pockets. When we arrived at the Nairobi airport, we were photographed. There I stood in my tux, pockets bulging. People must have later really wondered. Here were the last American officials from an Embassy that was being closed, in their Sunday finest clothes. Only one person saw us off at Entebbe Airport; no one from the Protocol Office. In the first place, they didn’t know that we were leaving (or at least they were not supposed to know) and secondly, I was an anathema to the Ugandans and to all the other diplomats as well, apparently, by that time. The only person who came out was Henri Dupuy, the No. 2 official in the French Embassy, who was a personal friend, who brought me a little silver loving cup as a farewell gift. We drank a little champagne from it. He was the only one who had enough guts to see us off, although many in the rest of the diplomatic community were well aware of what we were doing. It wasn’t that hard to figure out, although there was one person who didn’t know and that was Idi Amin, whom we were anxious to keep in the dark, not knowing what his reaction might have been. He might have locked us up to keep us from leaving…. As we walked into the Ball, we got a big cheer because, I guess, we had gotten out of Uganda alive. There were a lot of our Embassy people there who had left a few at a time during the previous days or weeks.